Yes, I have 30 teams tied for the #1 ranking. I did this for 2 reasons. 2) More seriously, last year I had 3 different sets of rankings before the season even started. Teams hadn't finished making roster moves and spring training battles hadn't been fought yet and I was trying to predict what would happen. For the most part I did a poor job at that early stage. To reduce the chance of a that reoccuring, I will wait until Opening Day for my first real set of power rankings. 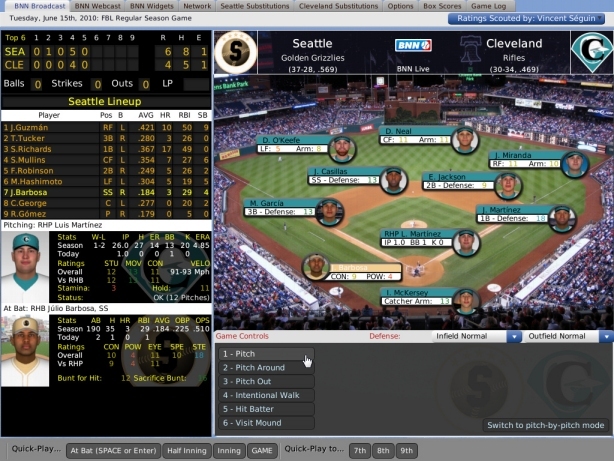 While you wait for opening day, why not play OOTP Out of the Park Baseball?